dipti pile grippers are unique and marvelous engineering invention for the protection of offshore jackets after driving pile through them, leveling of jackets and to prevent any movement during grouting. Swing gripper is equiped of parts those are made on C.N.C machines & it's shaft is hards chrome plated. It's all wear 81 tear is proportional and to the satisfaction, of machine's function. With the assistance of our adroit professionals, we are engaged in providing Pneumatic Gripper Maintenance Service. These services are rendered by our professionals keeping in mind precise requirements of clients. In order to render these services, our professionals use advanced techniques. Our valuable clients can avail these services from us in customized options and at market leading rates. We are offering AirTac Air Gripper to our clients. Angular Gripper are typically used in complex system such as assembly machines, robots, manipulators etc. Reckoned in the market as an eminent organization, we are engaged in offering a huge range of Pneumatic Gripper. 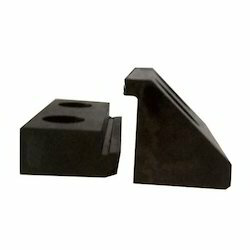 To cater to the diverse demands of customers in efficient manner, we provide these grippers in different grades and dimensions. Offering at market leading prices, these grippers are broadly demanded by our patrons.